A Walk through Howard Hill! The 164-acre Howard Hill is the scenic forested backdrop to the Maine State House, and one of Augusta’s largest remaining undeveloped parcels of land. With support from Kennebec Land Trust (KLT) members, private foundations, Maine businesses, and the Land for Maine’s Future program, KLT and the City of Augusta are permanently protecting this land. We met for this hike in the parking area at the end of Coos Lane in Hallowell. At 1:00 p.m., KLT staff member Kirsten Brewer talked about acquiring the property. NRCM Forests & Wildlife Outreach Coordinator Carly Peruccio touched on NRCM’s role advocating for the Land for Maine’s Future program. The snowshoe (or hike) was led by Augusta’s park steward Ansley Sawyer. The land holds ecological and historical significance. 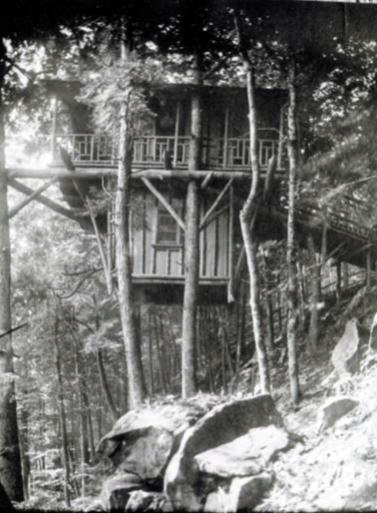 Our walk passed by where William Howard Gannett’s tree house stood in the early 1900s. This walk was great for all abilities and all ages. This event was free and open to the public. This event was co-sponsored by the Natural Resources Council of Maine and the Kennebec Land Trust. Banner photo by Sam Horine.